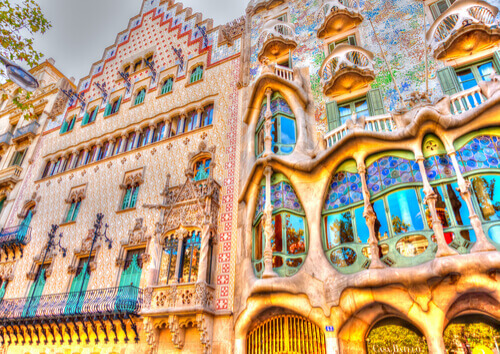 The ever-beguiling capital of Catalonian Spain, Barcelona is one of Europe’s most popular destinations. 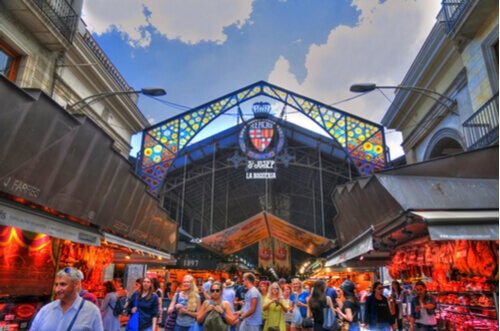 Many visitors will gravitate toward Las Ramblas, the city’s defacto heart. Come high season, however, the famed boulevard becomes a sea of tourists, spilling into the surrounding streets of the Gothic Quarter. If you’d like to (somewhat) sidestep the crowds but are short on time, Las Ramblas makes a logical starting point for exploring central Barcelona on foot. Las Ramblas itself divides two atmospheric neighbourhoods: the busy Gothic Quarter and El Raval. Plunge into the labyrinthine backstreets of El Raval to discover the edgy neighbourhood beloved by scenesters and students. This borough is home to some of central Barcelona’s most-visited tourist sites including Palau Güell by Barcelona’s adored Antoni Gaudí and the humming market, La Boqueria. Keep on striding, however, until you cross into El Poble Sec, an up-and-coming neighbourhood where you’ll find Barcelonians enjoying cheap eats. Although less than a 20-minute walk from Las Ramblas, tourists largely straggle off before they reach Carrer de Blai, a street lined with traditional bodegas (wine cellars) perfect for an impromptu progressive dinner. If the water calls to you, set out from Las Ramblas in the opposite direction through the Gothic Quarter’s cobbled streets to La Barceloneta, a triangular neighbourhood wedged between the beach and Port Vell. Back from the seaside, the narrow backstreets of the former fishing village hide cosy tapas bars and traditional seafood restaurants. Swing past Jai-Ca for a glass of vermut (vermouth) and moreish snacks, or treat yourself to a seafood paella lunch at Can Ramonet. 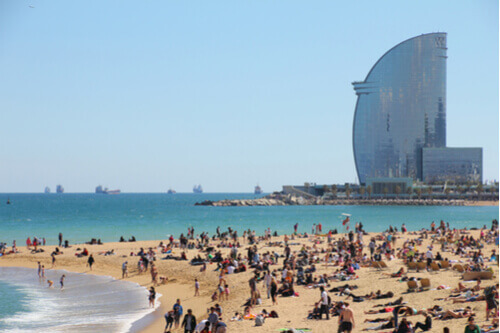 For Barcelona’s best sundowner spots, head toward the sand and claim a seat at one of the chiringuitos (beach bars), which line the beach of La Barceloneta and the neighbouring district, Sant Martí. At the inland end of Las Ramblas, beyond Plaça de Catalunya, the winding streets of the old neighbourhoods give way to the broad avenues of L'Eixample. Filled with elegant Modernist architecture, art galleries and high-end boutiques, this large residential suburb is set out in an easily navigable grid encompassing a number of different neighbourhoods. 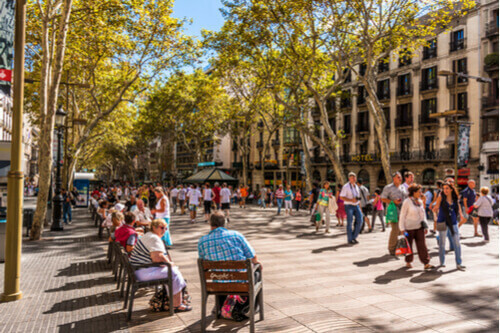 While most visitors will only encounter the area during a jaunt to Gaudí’s Casa Milà, Casa Batlló or the awe-inspiring Sagrada Familia, Eixample’s chic cocktail bars and acclaimed restaurants as well as designer shopping on Passeig de Gràcia and Rambla de Catalunya, make lingering worthwhile. A little further inland, but decidedly worth the half-hour walk or quick taxi ride from Las Ramblas, is the enclave of Vila de Gràcia. A former farming village that was swallowed up by Barcelona’s sprawl in the 19th century, the network of narrow lanes and peaceful squares offer a more sedate slice of Barcelona life with a proud community spirit. Find a table overlooking a plaza at one of the many terrace cafés and, just for a minute, imagine yourself a resident of this laidback city on the shores of the Mediterranean Sea.